Your vehicle’s electrical system is composed of myriad components from the controls that move your driver’s seat position and control your wing mirror angles, to those that start your engine and operate your audio system. It can be tricky to diagnose an electrical problem, but fortunately the ASE certified master technicians at MR Auto SD are experts when it comes to troubleshooting issues with your vehicle’s electrical system. 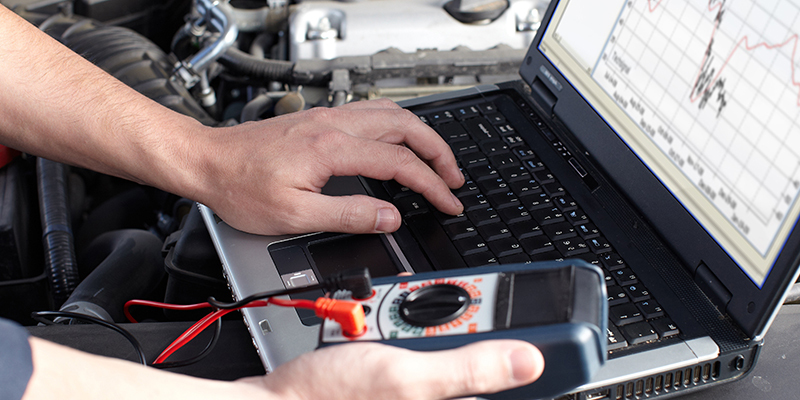 Our technicians are trained to examine the whole system of the car. Just because the car isn’t starting doesn’t necessarily mean it’s the battery, starter or engine that’s causing the problem. An undiagnosed electrical problem could be draining the battery prematurely. Our master technicians are trained in using the latest diagnostic tools to help pinpoint electrical drains, or electrical systems problems that might mask themselves as other issues. Make an appointment today and our technicians will get to work on a thorough inspection of your electrical system including a visual inspection of battery and case condition; checking to ensure your battery can still deliver adequate power, and replacing it if necessary; examining and adjusting electrical cable connections, if necessary; and running engine diagnostics if necessary to troubleshoot sophisticated systems or complex electrical problems. Once we’ve ascertained the cause, rest easy knowing we’ll get right on the fix!